It’s somehow the 4th month of 2019 (time is flying by so fast isn’t it?) and April signals longer days, warmer weather (hopefully) and Easter time! 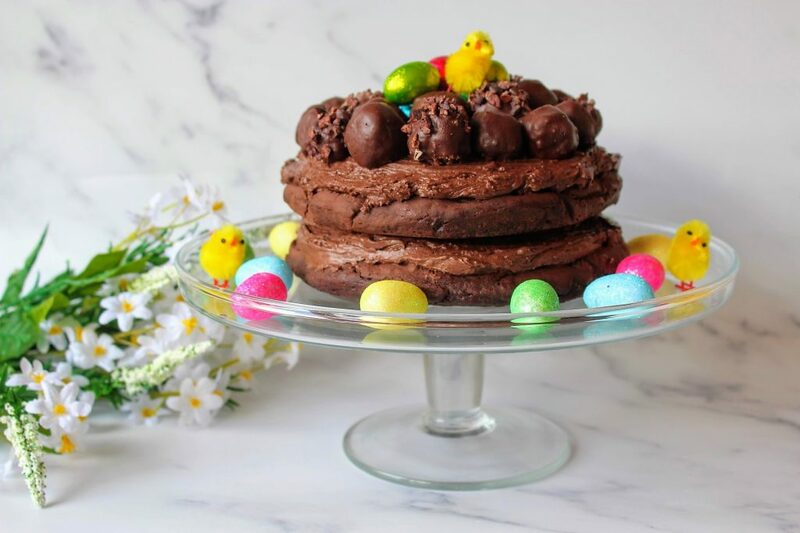 Chocolate, chocolate and more chocolate seems to be everywhere – along with hot cross buns, little chicks, rabbits and colourful eggs and religious symbols – so from a recipe creator’s point of view, it’s a fun and yummy time. 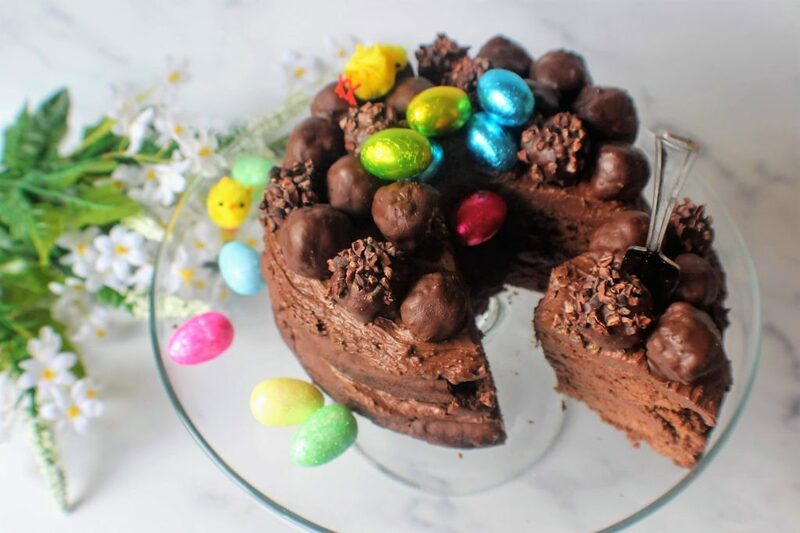 In collaboration with Delamere Dairy, who I’ve worked with before on a festive and healthy breakfast recipe, this time I’m bringing you a wonderful, rich and indulgent bake in time for this celebration. 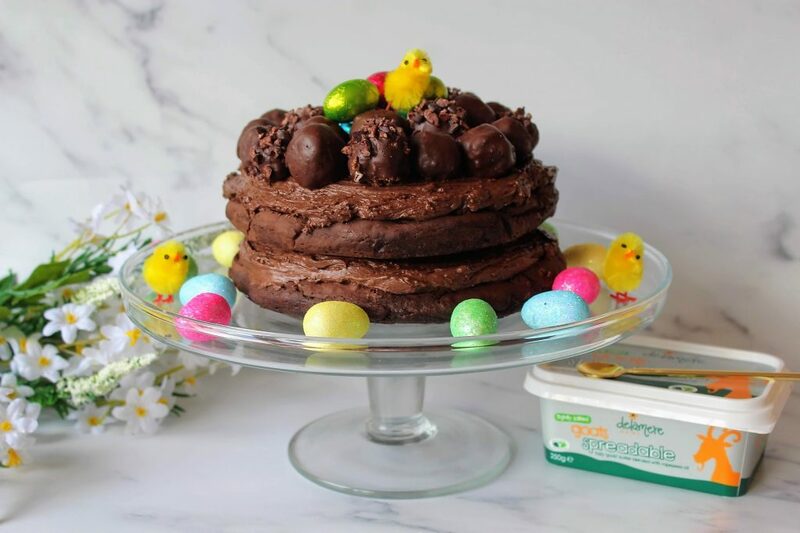 The chocolate cake uses the spreadable goats butter which makes a really light sponge, while the block butter (once softened) works amazingly for a creamy frosting to sandwich the cake together and smothered across the top – the perfect setting for a decorative Easter touch. Before I jump into the recipe, I wanted to share some of the benefits of the goats products which you might not know about – before coming across the brand I wasn’t familiar with things like goats yogurt and butter even though I love the cheese! Preheat the oven to 180C and grease and line 2 x 20cm cake tins. Mix together the flour, sugar, cocoa powder and baking powder in a bowl. 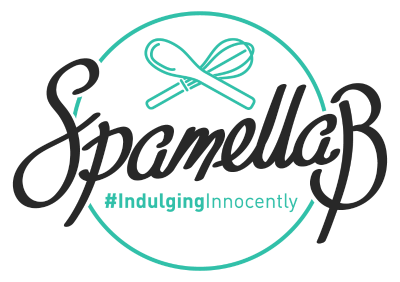 Whisk together the eggs, melted butter, milk and vanilla then pour into the bowl and gently mix in to form a batter. Divide the batter between the two tins and smooth out evenly. Bake for 20-25 minutes until risen and a skewer comes out clean. Leave for 20 minutes then pop both onto a wire rack to cool completely. 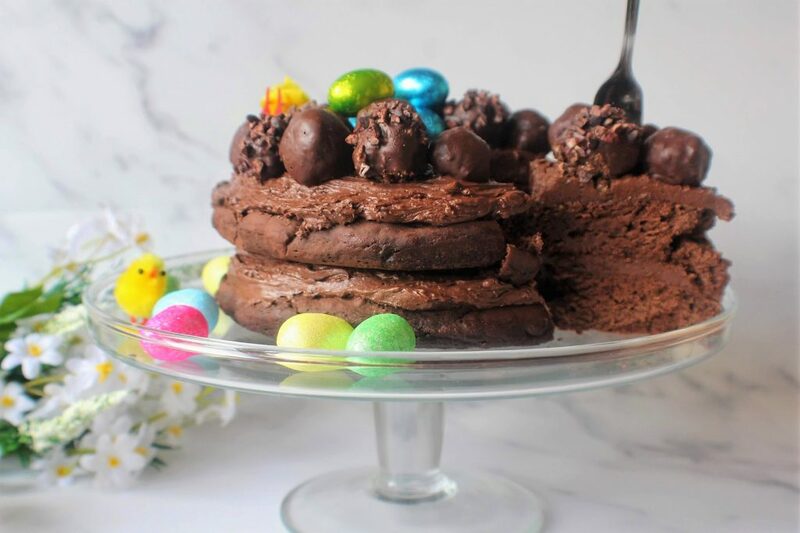 Make the chocolate balls by placing the oats, nut butter, maple syrup and milk in a blender or food processor and blend until the mixture forms a dough. Roll into different sized small balls. Gently melt the coconut oil and chocolate then dip each ball into the chocolate to coat and place on a greaseproof sheet. Roll a few in the cacao nibs. Chill for at least 30 minutes. Make the icing by beating the butter for 2 minutes. Warm up the milk then beat in with the icing sugar, cocoa/cacao powder and vanilla until smooth. Place one of the cakes on a board or plate and cover the top with some icing. Carefully arrange the other cake on top then cover the top and sides with the icing. 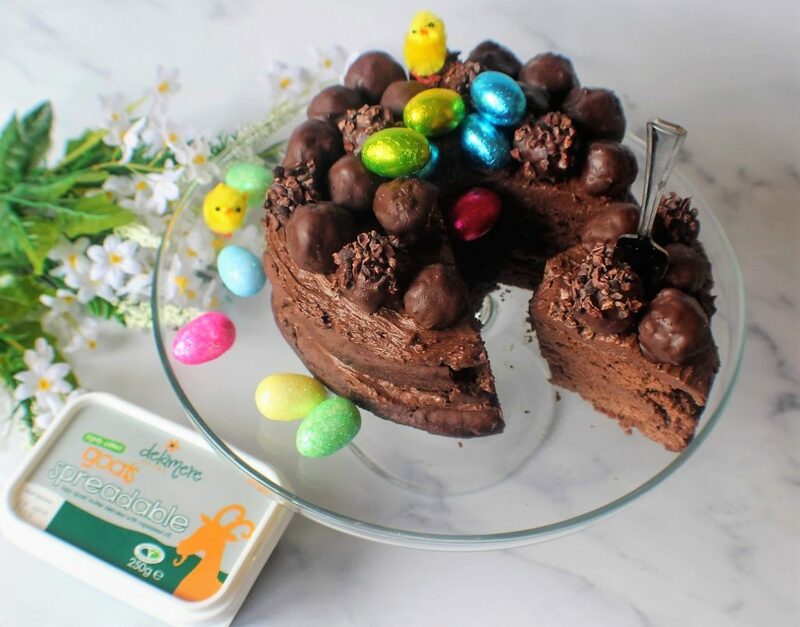 Scatter over the balls and some chocolate eggs – then slice and serve!